Not long ago an old matchbook laying on photographer Pablo Iglesias Maurer‘s desk caught his eye. Or rather, it was the postcard-like picture on it, of a resort complex built in the 1960s. It got Pablo wondering how the place looked now, and the answer has led him to make an amazing photo series called Abandoned States. See more of his results at “Photographer Finds Locations Of 1960s Postcards To See How They Look Today, And The Difference Is Unbelievable” and here. 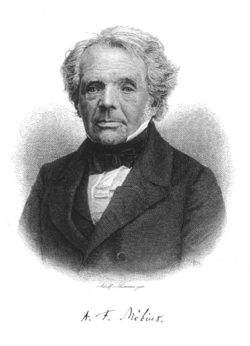 As we contemplate continuity, we might send never-ending birthday greetings to August Ferdinand Möbius; he was born on this date in 1790. 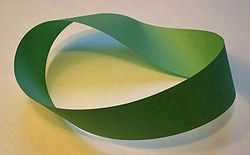 A German mathematician and theoretical astronomer, he is best remembered as a topologist, more specifically for his discovery of the Möbius strip (a two-dimensional surface with only one side… or more precisely, a non-orientable two-dimensional surface with only one side when embedded in three-dimensional Euclidean space).